To make this experience unforgettable, IHPL packs only the best to make every moment count. While Sri Lanka honeymoon packages are highly sought, there are option for family vacation and more. Group tour packages for Sri Lanka are popular for a wonderful time with all. There are abundant customizable options of Sri Lanka travel packages from Delhi, Hyderabad & Mumbai as well as other locales in India. Due to its tropical climate, sandy beaches and cultural experiences, Sri Lanka is fast becoming among the favored holiday places in the world. For celebrating destination wedding and honeymoon it is often combined with Maldives package as well. Its 2000 years plus old culture is well-preserved in its ancient sites filled with mystery and stunning beaches with white sands. 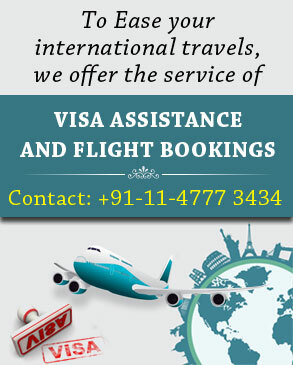 No wonders, Sri Lanka holidays becomes most convenient and Visa formalities are quite easy. While the urban areas of the country provide all modern qualities and tourist attractions like shopping complexes, nightclubs, pubs, etc. along with interesting things to do. The other side of the nation is home to elephants, leopards, dolphins, and spiritually blessed caves. There are several forts and monuments which stand as a testimony to the colonial past. These structures were used by the British, Dutch and Portuguese and are intact in different parts of the country. During Sri Lanka tour packages from India, you’ll get to explore something new and unique every day.